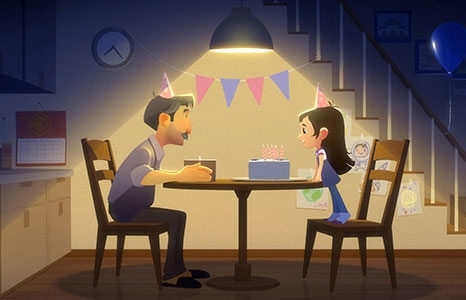 NOTE TO PARENTS: This year’s Animation Shorts nominees include themes such as Alzheimer’s disease, divorce, and the death of a parent. Recommended for ages 8 and up. Weekends is the story of a young boy shuffling between the homes of his recently divorced parents. Surreal, dreamlike moments mix with the domestic realities of a broken family in this hand-animated film set in 1980’s Toronto. 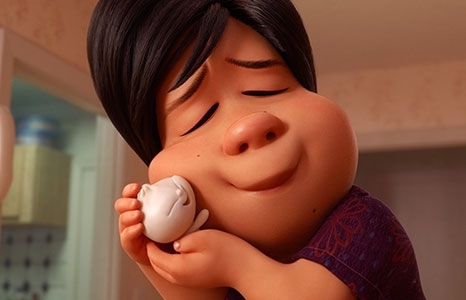 Luna is a vibrant young Chinese-American girl who dreams of becoming an astronaut. From the day she witnesses a rocket launching into space on TV, Luna is driven to reach for the stars. In the big city, Luna lives with her loving father Chu, who supports her with a humble shoe repair business he runs out of his garage. As Luna grows up, she enters college, facing adversity of all kinds in pursuit of her dreams.